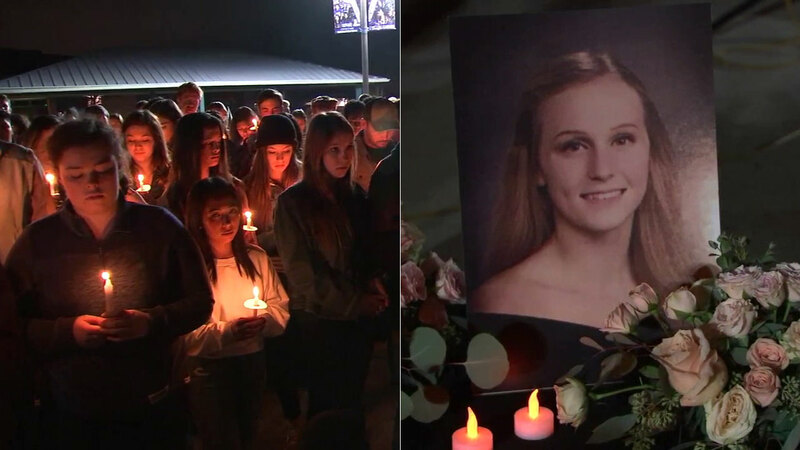 Friends gathered at a candlelight vigil to honor the memory of Drew Birnkrant, who along with her brother and mother, was killed by her father in Santa Clarita. VALENCIA, Calif. -- Friends gathered by candlelight in Valencia, Calif., to honor the memory of a 20-year-old woman who died in a murder-suicide. Investigators believe Drew Birnkrant's father shot and killed her, her mother, and her younger brother before turning the gun on himself in their Santa Clarita home. A photo of Drew was displayed at the vigil held at Valencia High School as dozens of her friends lit candles and honored her memory. Birnkrant was attending College of the Canyons, where she was on the track team. She was known as a supportive team member during her track and field days at Valencia High School. The bodies of the family members - Drew, her 11-year-old brother Sean, their mother Amy and father Michael - were found early Friday in the 28800 block of Startree Lane. Officials believe Michael Birnkrant shot his family before turning the gun on himself. Anyone with more information was encouraged to contact the Los Angeles County Sheriff's Department Homicide Bureau at (323) 890-5500. You may also call "Crime Stoppers" by dialing (800) 222-TIPS.